I cannot believe it has already been over a week since our Mexico adventure with the newlyweds and their friends and family! We were truly honored that we were able to be a part of this gorgeous destination wedding in Cabo San Lucas. This is what wedding dreams are made of! From the beautiful view to the gorgeous couple, this day was absolute perfection and we are so incredibly excited to share! Also, we cannot forget that all-inclusive resorts are the way to go ALWAYS! I definitely came home with a taco baby with all the tacos I had. However, so worth it! This Mexico wedding will be one to remember. Los Cabos is famous for its beautiful rock formation just off the shore. The couple took all of their friends and family on a sunset cruise that circled the rocks. The beauty of the view and the light hitting the water was so serene. There were even seals laying on the rocks! We were definitely all excited about the seals! Our boat circled the rocks and we watched the sunset right over the horizon. We might have gotten a little seasick along with the videographer but it was totally worth that view! We woke up that morning to rain. Let me tell you when you have been at the resort for 3 days with beautiful sunshine and then the day you have been waiting for has a rainy forecast, frustration can really set in! Luckily the rain cleared away and we had nothing but sunny skies the rest of the day. It was definitely hot and humid, but I would rather have the humidity than the rain! Ashley is a photographer, so she thought of everything! The timeline was absolute perfection. She carved out time for the first look, portraits, and more. The details were stunning and everything came together beautifully. Planning a wedding is tough. I cannot imagine planning a destination wedding across the country. So many moving parts and components and yet she pulled it off seamlessly. This destination wedding in Mexico is one that we will remember always. We took many incredible images the day of and of course on this trip. But the moment that stands out the most for us and was like icing on the cake, was the moment we ran into some horses on the beach. For those who know our bride, Ashley knows how much she adores these beautiful creatures. While venturing to the beach for portraits we ran into these ponies who were being escorted by a young man. He graciously allowed Ashley to take the reigns and it was absolutely magical! We cannot thank you enough for taking us on this incredible adventure with you! You have some amazing friends and family and getting to know them all in such an intimate setting was such a treat. You two are such a fun duo and we loved getting to know you both. We wish you a lifetime of love, happiness, and more amazing adventures together! These amazing vendors were a joy to work with! Thank you all for your all hard work! Love this sneak peek from InFocus Productions! 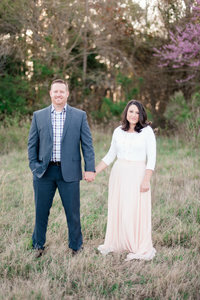 I'm so grateful for amazing friends and awesome clients Ashley and Casey Wheeler! You guys were a pleasure to work for, and I truly enjoyed our time in Mexico filming for you both. I put together a short teaser film of their amazing wedding day in Cabo San Lucas, Mexico! It was gorgeous from start to finish, from a ceremony overlooking the cliffs, to horseback riding on the beach, it couldn't have been more beautiful.I wanted to give a sneak peek, but the full version will be coming soon! I also wanted to thank a few people as well that helped to make this wedding so amazing. Xiaoqi Li for making the trip to shoot with me!Luke and Ashley Photography for their amazing photography and teamwork!Villa del Arco Beach Resort & Spa Cabo San Lucas for hosting such a beautiful wedding, the staff were wonderful!And many more that will be listed on the official video release! More Beach & on the Water Weddings! I still love going through all of my images. You did such an amazing job capturing our day and allowing us to relive the day forever! Forever thankful! we LOVED your wedding! Thank you for trusting us to travel with you all the way to MEXICO! It was a time we won’t forget!